Having smoke and carbon monoxide detectors can be lifesaving. According to the National Fire Protection Association, three out of every five home fire deaths were in residences without smoke detectors. If that wasn’t bad enough, almost 500 people die from carbon monoxide poisoning each year! Read on to learn why these detectors are essential in each and every home. What do Smoke and Carbon Monoxide Detectors do? Detectors quickly identify smoke or carbon monoxide in your home and alert you of it. A smoke detector senses smoke, typically as an indicator of fire or of some malfunctioning electrical device that may soon produce flames. 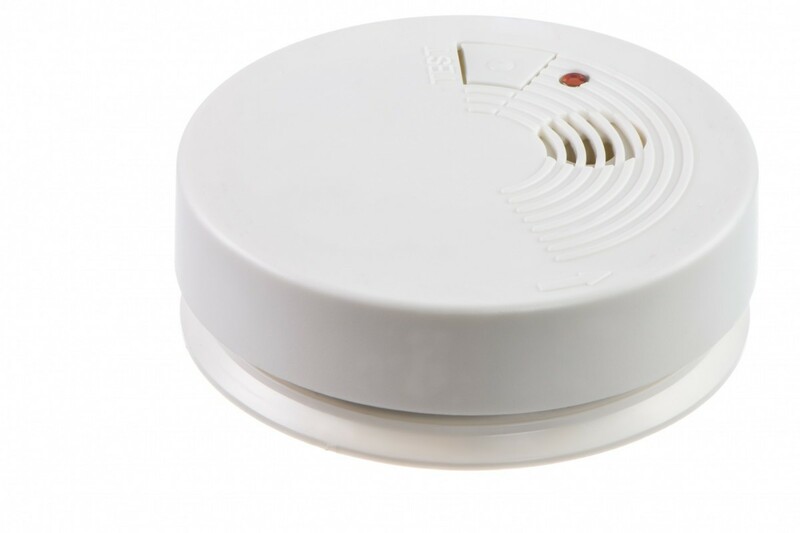 Also referred to as smoke alarms, they generally issue an audible or visual alarm from the detector itself when smoke accumulates in a specific area of the home. Although you can typically smell or see smoke from a fire, working alarms reduce the risk of dying in a home fire by half, and can detect danger even if you are distracted or asleep. On the other hand, carbon monoxide is an odorless, colorless, and tasteless gas that is nearly impossible to identify without a proper detector. It is caused by fuels (gasoline, propane, natural gas, and heating oil) not burning completely. Within a home, unburned fuel can come from clothes dryers, water heaters, ovens, a fire-burning fireplace, or a car left running in a closed garage. Carbon monoxide detectors sound an alarm when they sense a certain amount of carbon monoxide in the air over time. Do I Need Both Devices? While smoke detectors are common and required by law in the United States, carbon monoxide detectors are currently only required by 27 states and the District of Columbia. However, it is paramount to have both detectors in your home— it could be the difference between life and death. Also, having up-to-date detectors with working batteries is critical to ensure they are working properly. Smoke detectors should be replaced every 10 years, while batteries should be swapped out at least once a year. Carbon monoxide detectors should be replaced every five years with batteries also changed at least once a year. To find out more about smoke and carbon monoxides detectors, contact Tim Kyle Electric. We provide commercial and residential electrical service in Thurmont, MD and the greater Baltimore area. Call us today!